How to choose an online class? Online Class is a web delivered class it is the class in which students study through internet it is form of virtual learning and distance learning students can study at a distance online this means that students are not tied to have to be online at particular time to take the online classes. 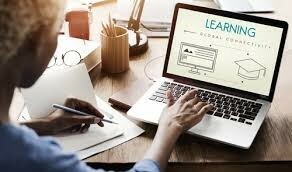 Online classes squeeze the long miles distance in just Nano seconds that make the study more feasible than traditional studies in old times its means that students who are doing any job can also continue their s learning and studies without any tension and taking online classes while working full time. online classes not only useful for those students who are formally study in universities but also for jobholders and also for every person in the world belonging to any field from for example either from commerce, Business Administration, English Literature , Science, Engineering , medical or Arts etc. can get extra benefit from Online Classes. There are a lot of online classes available on the internet the question is arises here how to choose online class? In this post we will discuss deeply on this topic and give solution to this Problem that how to choose online class? Step by Step Guide to How to choose online class? It’s really important to choose right online class that exactly match our course on which we study for example Business Administrations or any other that you want to choose because the wrong selection will vigorously stop the most vital thing that is learning and confidence level will also drop down directly to zero level. Many people have question how we can choose online class between the millions of online classes or we can say that face that problem but have no any answer that how to choose? Are you take online class for learning, study or for fun? What are topics in which you actually interested? Are you want to develop or improve particular skill if yes then what is it? How much can you spend your time on learning? After answering the above questions now you have a clearer idea about what you need from online class, spend some time on browsing the online classes related to your idea. If you catch many classes that meet your idea, don’t worry, open each and attentively watch them. This step is one of the most important. Take some time to read all course descriptions thoroughly, which are clearly mentioned if we search online class the short line is also available regarding the class which clearly describe about the class making sure you understand what the class is about, what you’ll learn by the end of the class. It’s also important at this point to find out exactly who the class is for, so you can ensure it’s the right level for you for example some classes are for beginners that does not match the experienced persons and some are for experienced persons that does not match the beginners so choose the right level for you. After you know about that what the class is about and cover which and how much ideas and who they’re for, you need to check them against the idea you set out in step one and level in step 3. Which course best meets your needs? If you find you have a few classes that match to your idea, you will need to judge whether you have the time to continue all the classes or not if you don’t have time then bookmark them and continue later when you have time. You’ve browsed, you’ve examined classes at some extent, you’ve checked the idea and, if it’s all gone to plan, you should take class The only thing left to do is get started! For online learners, finding time is tough. Between family time, working one or multiple jobs, and other life activities so what’s the solution what’s the way? Here are four ways to manage your time while enrolled in online classes. Create a Schedule: Trying to fit coursework into an already crowded schedule is tough when your mind has been elsewhere all day is hard. If you live your life day-to-day without a schedule, it can be exhausting. Making schedules and planning your days are important, so make schedule and give proper time to online classes. Breakdown Your Time: when you analyze all classes breakdown your time and give time to classes because in beginning the classes are easy and introductory and then got tough so make it clear that you have to give more and more time form one to next class. Sometimes, it is hard to block off hours at a time to complete tasks, but breaking it up throughout the week might help. Plan Fast: It is important to know how to prioritize your online class. Take few minutes to analyze the main things which you learn in different classes and make it sure you got it. Eliminate Distractions: Create a study space that is meant to focus on class. Having a designated space will help you focus on what is in front of you, not what is going on all around you. This space keeps you in the zone while also letting others around you understand that you’re hard at work.